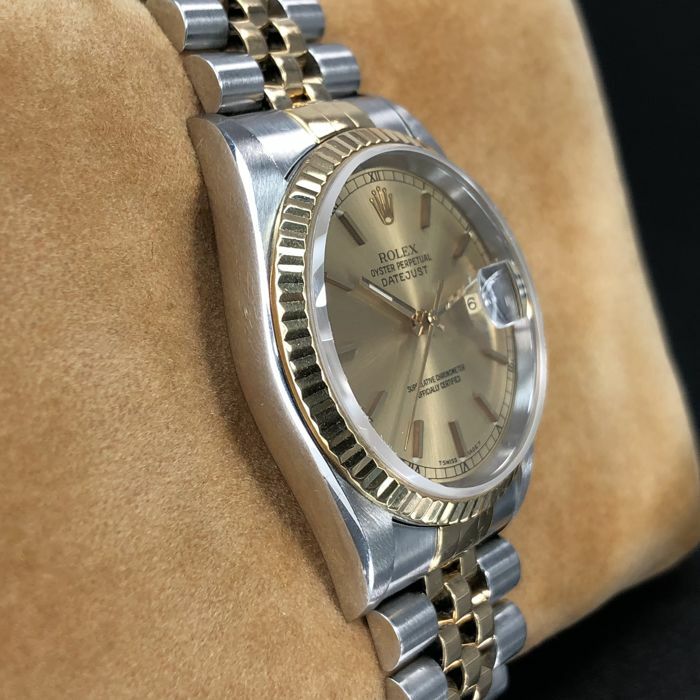 Original Rolex DateJust Oyster Perpetual 18k Yellow Gold & Stainless Steel Bicolor Sun-Brushed Gold Dial Roman Numerals ref. 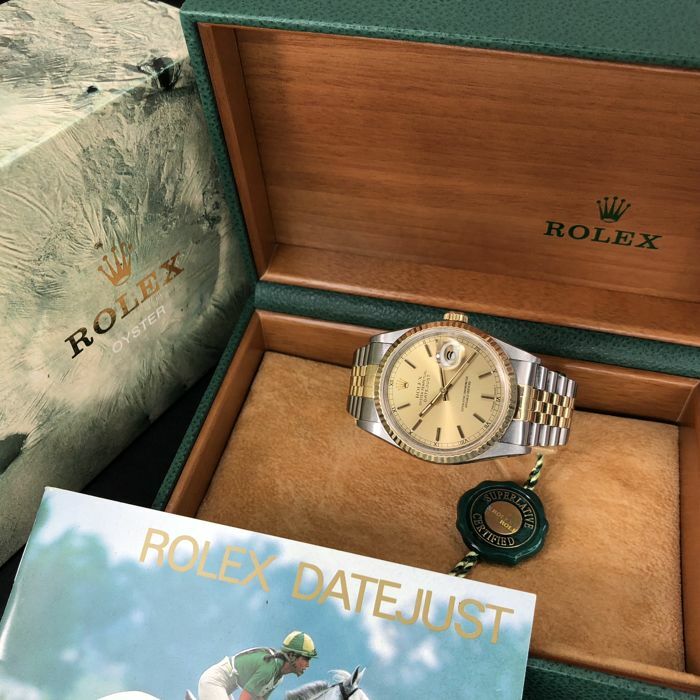 16233, this watch is made in 1995, which is one of Rolex most iconic timepieces. 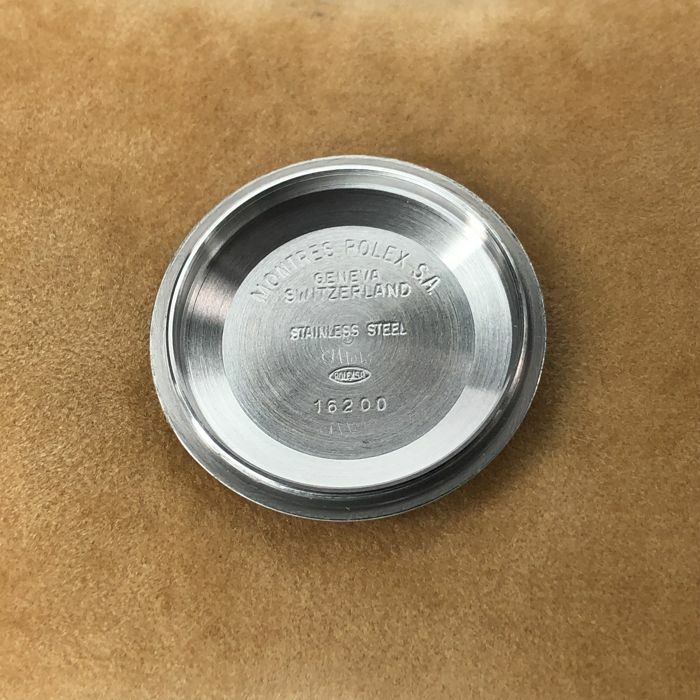 The watch is in a fully working order and is in good condition, with surface scratches that are to be expected on any watch of this age. 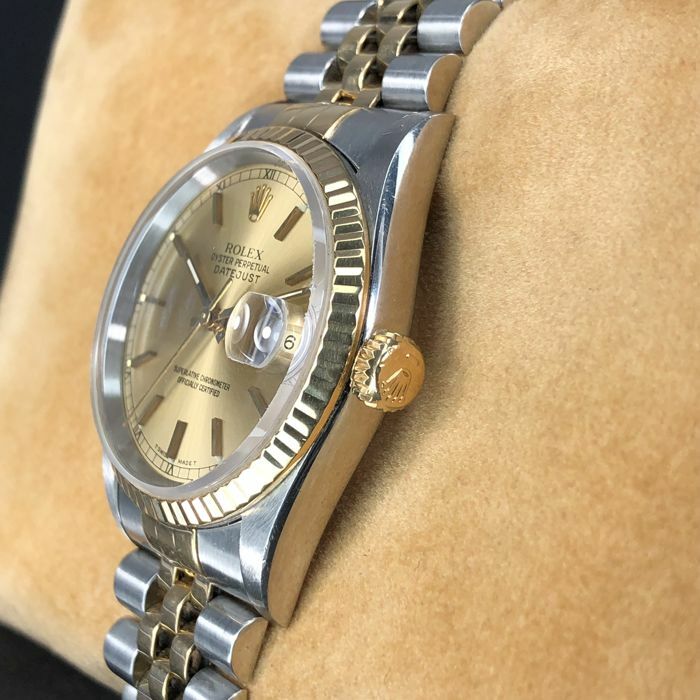 The Rolex Datejust is a popular choice among famous and influential men all over the world. From Harrison Ford to President Dwight D. Eisenhower, the Datejust is the ultimate symbol of success and should be worn with pride. 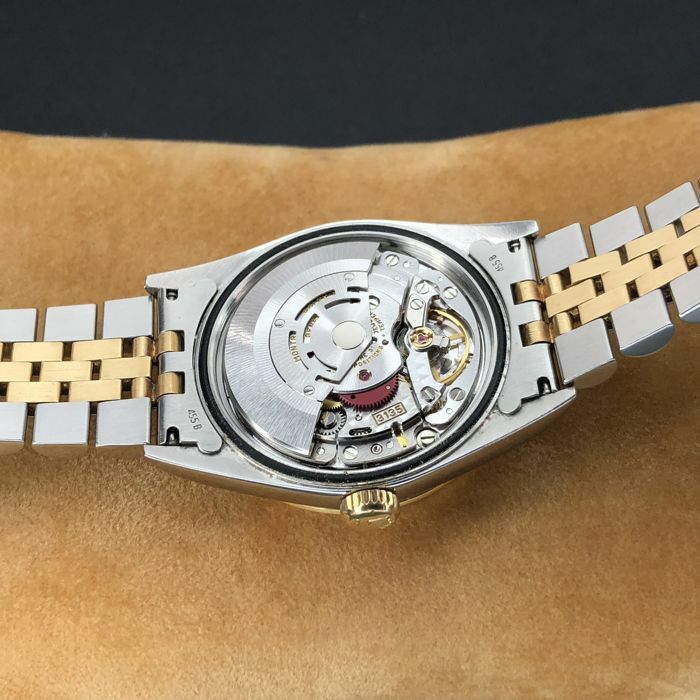 At the heart of this watch is a legendary automatic high grade movement calibre 3135, on 31 jewels. This movement runs great and all functions works as expected. This model features a original sun-brushed gold dial, with black Roman Numeral hour marks. 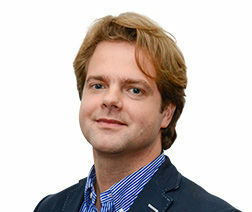 Signed "Rolex", "Oyster Perpetual", "DateJust" , "Superlative chronometer officially certified", "T Swiss Made T". A beautiful gold color hours, minutes, and a central second hands, date at 3 o'clock position. 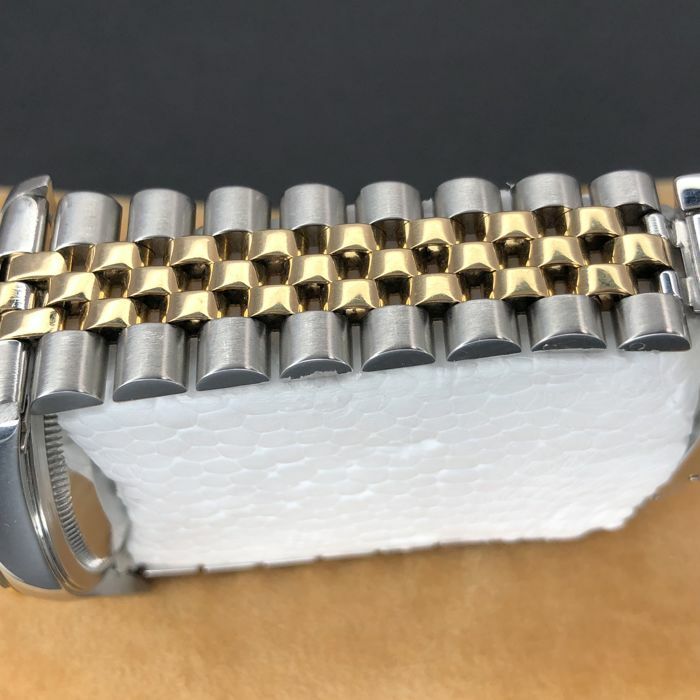 The 36mm (1,41 inch) stainless steel case with a beautiful 18k Yellow Gold relief bezel excluding the crown and 43mm (1,69 inch) from lug to lug is in good vintage condition, with surface scratches that are to be expected on any watch of this age. 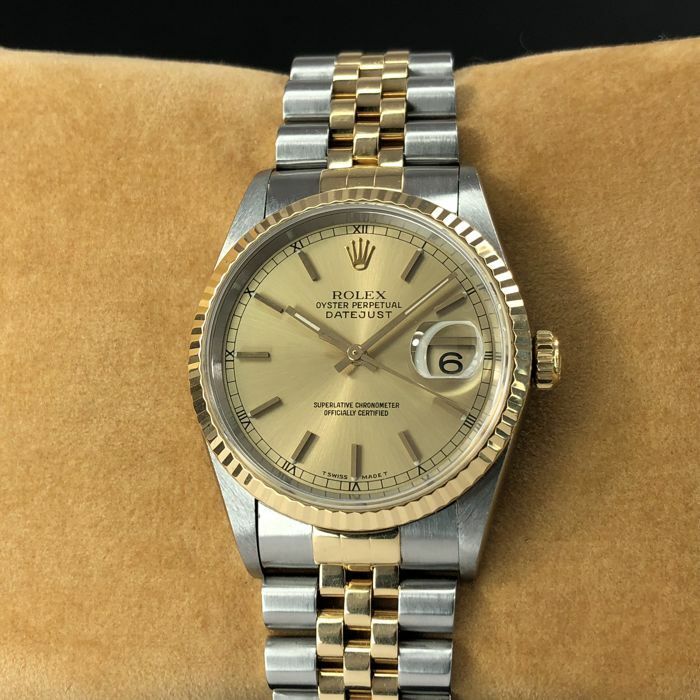 18k Yellow Gold winding crown is completely original and correctly signed with the famous “Rolex” logo. 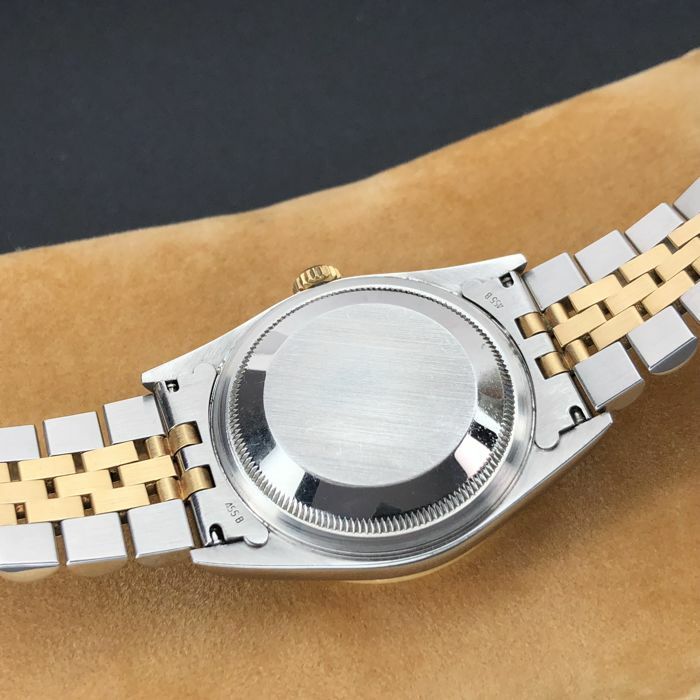 Original Rolex sapphire cystal includes a magnifying Cyclops lens, enlarging the date 2.5 times. 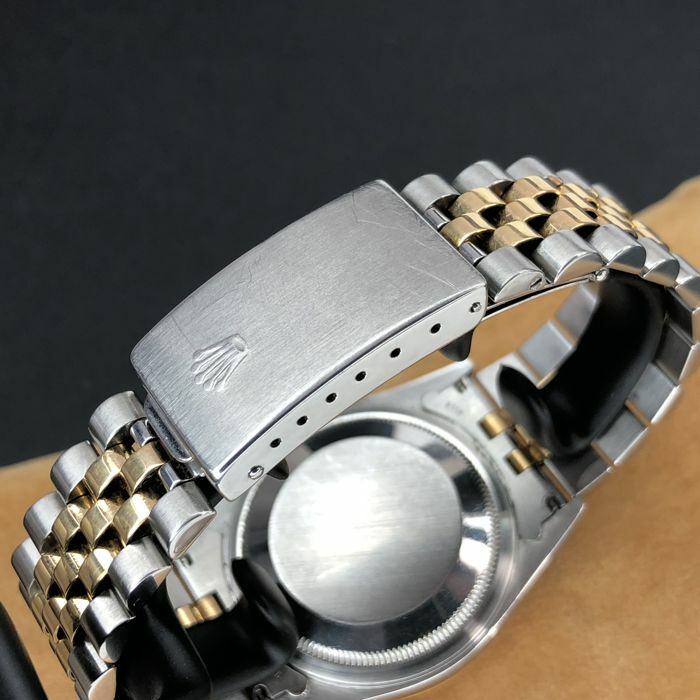 The watch is presented on original 18k yellow gold and stainless steel bicolor Jubilee bracelet around 19,5 cm (7,67 inch) including watch case, signed "Rolex", with the “Rolex” logo clasp. 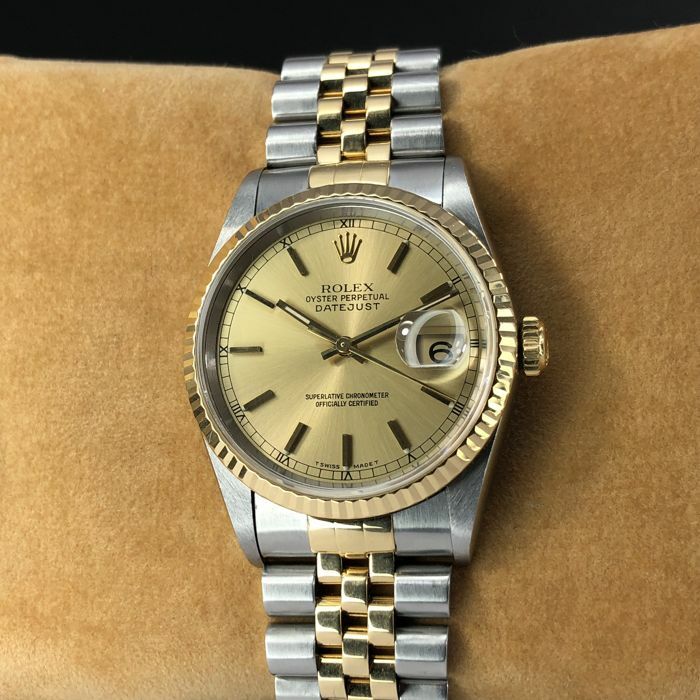 Crown: Original 18k yellow gold Rolex crown, correctly signed with the famous “Rolex” logo. 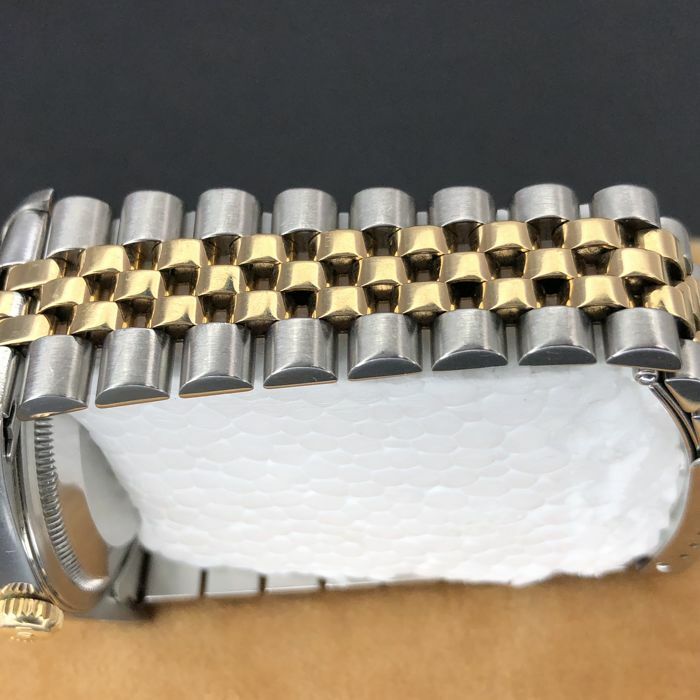 Bracelet: Original 18k yellow gold and stainless steel bicolor Jubilee bracelet around 19,5 cm (7,67 inch) including watch case, signed "Rolex", with the “Rolex” logo clasp. Other specifications : With box, without papers. The legendary Oyster Perpetual Datejust is an impressive representation of the spirit of the Rolex brand's adventurous innovation.